C-PACE finances energy efficiency renovations for commercial and multifamily buildings. Arlington County is the only Virginia locality with a Commercial Property Assessed Clean Energy (C-PACE) program. They announced the recipient of their program administrator in January 2017, passed the County Ordinance in November 2017, and officially launched their program in January 2018. The pipeline of projects is growing, and in a milestone for the program, one was recently reviewed with capital providers to determine funding interest. Currently, there are several localities across the Commonwealth interested in developing C-PACE programs. – During a January 2018 Board meeting, the Loudoun County Board of Supervisors unanimously voted to direct staff to develop a C-PACE program structure, evaluate options for Program Administration, and draft an ordinance. The Board approved the County’s C-PACE ordinance during a February 21, 2019 meeting. The County is now in the procurement process for a program administrator. The RFP can be viewed here. – At a June 2018 Fairfax County Board of Supervisors meeting, the Board Environmental Committee recommended that County staff draft a C-PACE ordinance. The VAEEC participated in the Fairfax County stakeholders group to provide feedback on this draft ordinance, which was approved by the Board during their March 19, 2019 meeting. The County’s program will be the first in the state to make resiliency and stormwater measures eligible for C-PACE financing. – The City of Fredericksburg has adopted a C-PACE ordinance for the City. A project is already in line to utilize C-PACE once a program is launched. Virginia joined more than 30 states and the District of Columbia in adopting C-PACE legislation in 2009 and adopting amendments in 2015. It is up to each locality to pass a C-PACE ordinance if they would like to offer a program. The VAEEC is committed to accelerating the implementation and utilization of C-PACE throughout Virginia. Combining efforts with other stakeholders, we are working to facilitate interest in C-PACE by building a coalition of supporters and engaging with localities. We continue to be a neutral, trusted resource on C-PACE and are actively meeting with local governments across Virginia to discuss all available options and help each locality determine which option best suits their needs. In 2017, the VAEEC joined the Mid-Atlantic PACE Alliance (MAPA), which is comprised of state agencies, non-profit institutions, and private businesses working to accelerate the development and utilization of C-PACE in Virginia, Maryland, and DC. This effort, which is being led by the Department of Mines, Minerals and Energy, promotes the collaboration among local and state governments, capital providers, C-PACE program administrators, energy service contractors, and building owners to create low-cost, standardized guidelines that will enhance financing efficiency and increase the volume of C-PACE projects. The goal is to achieve consistency and growth in C-PACE programs within the tri-state area to generate a minimum of $80 million in C-PACE loan closings by 2020. This is an exciting time for C-PACE in Virginia, as more and more options and resources are becoming available for localities. The VAEEC believes that having a variety of C-PACE program options is crucial to accelerating the number of and demand for C-PACE programs in Virginia. By increasing the number of options available, localities are more likely to find a program administrative model that fits their goals and needs. Earlier this year, the VAEEC created several maps of C-PACE eligible buildings in key localities across the Commonwealth. The maps help visualize the supply of C-PACE eligible buildings within these localities while also demonstrating the potential demand for C-PACE. For more information or to view the maps, click here. 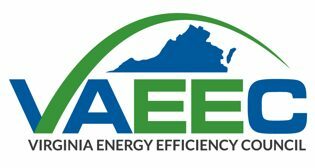 In early 2018, the VAEEC released a Virginia model ordinance for localities to use when crafting their own program. The ordinance was commissioned following review and input from a wide variety of C-PACE experts in the lending, local government, engineering, legal, and policy fields. This document incorporates key factors that we consider to be crucial to implementing an effective C-PACE program. The VAEEC’s Virginia model ordinance can be downloaded here. An abbreviated ordinance was created by the Virginia PACE Authority (VPA) using this ordinance as their template. The VPA ordinance can be viewed here. As part of its mission to accelerate the development and utilization of C-PACE in the Mid-Atlantic region, MAPA has created program implementation guidance. The toolkit is a resource for stakeholders, including but not limited to local governments, program administrators, building owners, contractors, capital providers, and local lenders, providing best practices specific to this region. For localities, the provided guidance and resources streamline efforts to develop and launch a C-PACE program. The regional toolkit can be viewed on the MAPA website. Arlington County’s C-PACE program is designed to enable other Virginia localities the ability to quickly and efficiently “ride” their C-PACE Program Administration contract with SRS. This option eliminates the need for a locality to go through their own Request for Proposals (RFP) process. An RFP template has been created for localities to use when crafting a Request for Proposals for Program Administrator services. 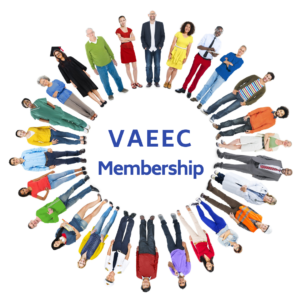 Over the past few years, the VAEEC has seen how constituent support and outreach plays a critical role in getting localities to move forward with developing a program. If you are interested in C-PACE and would like to contact your local government officials to urge them to launch a program, the VAEEC has created template letters to help you craft your message. C-PACE is an innovative way to finance clean energy projects on commercial, multifamily, and nonprofit buildings (excluding condos and properties with less than five dwellings). The loans are designed to be long-term (up to 20+ years) secured by a lien that has a priority status equal to a tax assessment, thus senior to a mortgage lien. 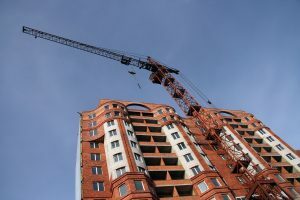 By setting up a C-PACE program, a locality can enable private sector loans for 100% of total project costs by placing a special assessment lien on the property that the owner repays over time as part of his/her tax or utility bill. To learn more about C-PACE, check out the Mid-Atlantic PACE Alliance’s resources page for fact sheets, FAQ’s, case studies, and more.